There is a common misconception that people with autism—or any other neurodevelopmental disorders for that matter—cannot live a normal life. However they are some extraordinary people with autism who are not only leading a normal life despite their condition but have also made it big in life through their sheer determination and hard work. We all know of Scottish singer Susan Boyle who catapulted to international fame as a middle-aged lady, selling more than 14 million records worldwide. But how many are aware that she suffers from Asperger syndrome, a subtype of autism? Even more shocking would be the suggestion that Noble Laureate Albert Einstein could have also suffered from Asperger’s syndrome! Researchers have established that the brilliant physicist displayed a lot of signs of autism. The head of the autism research centre at Cambridge had suggested that Isaac Newton might also have been autistic. 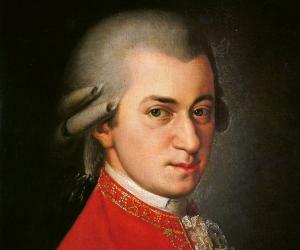 In addition to these great scientists, several other famous people including Wolfgang Amadeus Mozart—one of the greatest composers of all time—was also believed to display symptoms of autism. This section provides you information about the life and works of famous people with autism.